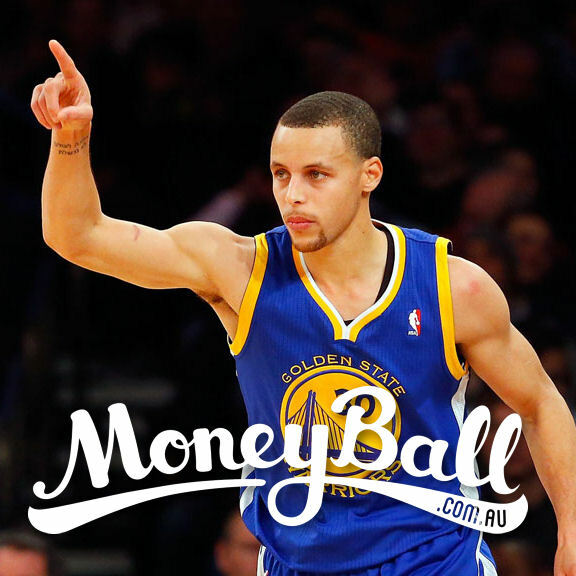 Get Pearcey’s tips for Sunday NBA games and win cash with Moneyball DFS. This is going to be an epic contest between two of the best point guards of the game. Take your pick as to which one you will think will score better as both scores will be huge. See above – this match-up is going to be epic! Rose is showing the sort of form that one him the MVP a few year ago. Jump on whilst his hot because an injury could be just around the corner. Will be looking to bounce back after a poor game against the Suns in his last start. Will be matched up here against the Rockets guards. Enough said. Hood has a great match-up here against the hapless Suns and is in great form. A perfect mix. Durant will want to put his full range of skills on show to help the Thunder show they are legitimate contenders. Hayward has had a couple of down games so this is a great opportunity for him to bounce back against the under-manned Suns. Tough match-up against the Pacers but is showing some great touch in the starting line-up in place of the injured Caldwell-Pope. Going for his third triple-double in a row in what should be a great game against the Thunder. Another player up against the Suns. There will be plenty of points to go around and Favors should get his share. Has been a solid play every time he hits the court since the trade back to the Rockets. The Blazers give up so many points to opposition Centres. Watch Howard dominate this one. The Hornets are very weak at the Centre position so Gortat should be a lock for a double-double and a great value game. A massive risk here but if big Boban gets any sort of decent court time he will be a great value play due to his great efficiency.